MANILA, Philippines -The Mandaluyong central business district (CBD) covering the western half of the Ortigas Center is the cosmopolitan face of the city. The enclave of corporate buildings, shopping malls, residential condominiums, hotels, schools, hospitals and factories is the setting of modern urban living comparable to the CBDs of Makati, Ortigas, Pasig, Taguig, Muntinlupa, Pasay, Quezon City and Cebu cities. But amid its hustle and bustle, the melting pot has a piece of paradise where anyone can still live in luxurious and stress-free comfort. The place is called Flair Towers. 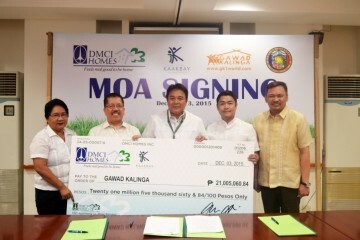 It is the newest condo in Mandalyuong City by DMCI Homes. 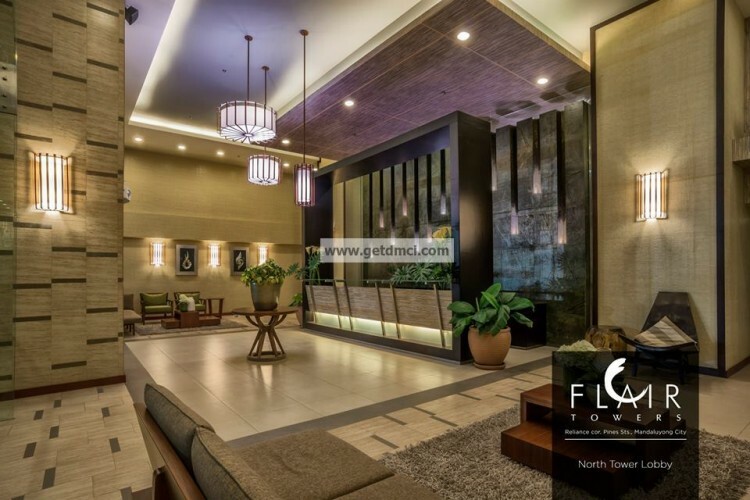 Flair Towers is a resort-themed residential community being constructed by DMCI Homes at the corner of Reliance and Pines Streets in barangay Highway Hills. The structure of one of Flair Towers’ two 41-story buildings is already up in the 1.4-hectare premium property just a hundred meters away from EDSA. When the South Tower is ready for occupancy in February 2014 and the North Tower in December 2014, they will reshape Mandaluyong’s skyline, making the landmark’s address a coveted one for investors, professionals and families seeking to nest within a CBD to enjoy a cosmo lifestyle. Flair Towers by DMCI Homes is not your typical condominium. It is specially designed to be a resort community with its swimming pools, lush landscape, courtyards and sports facilities, giving residents a tropical vacation and country club experience. Besides sheer relaxation, Flair Towers provides homeowners convenience with its modern amenities and facilities. The cosmopolitan lifestyle with a tropical twist begins at Flair Towers’ Central Amenity Core. The area is replete with recreational facilities and spots such as a basketball court, jogging trail, playground, and the pool complex with its lap pool, kiddie pool, lounge pool, shower area, palm promenade, alfresco view decks, picnic grounds, and pavilions. The tropical spirit extends to residential towers. A luxurious grand lobby with wireless Internet-connected common lounges greets residents and guests. Studio, one-bedroom, two-bedroom and three-bedroom units have generous sizes. Each unit is fully functional with elegant finish. Balconies in some of the larger units let fresh air in while providing a refreshing sight of the amenity areas outside. Doors open to single-loaded corridors instead of the neighboring unit’s door. From the unit doorstep, residents will also enjoy natural ventilation and illumination within the building because of DMCI Homes’ trademark Lumiventt design. There are breezeways at the end of each floor, Sky Patios and garden atriums every five floors, and Sky Lounge, Observation Decks and jacuzzi at the rooftop. The Sky Patio is a three-storey high opening at the front and back of each building. At the South Tower, residents can enjoy indoor amenities such as a music room equipped with instruments, a game room and an audio-visual room. Both towers will have function rooms for family celebrations. There is a three-level basement parking in the South Tower and a five-level basement parking in the North Tower, six high-speed elevators per building and garbage-holding areas per floor. A property management office takes care of the general maintenance and 24/7 roving security for common areas, organizing of social events, and newspaper delivery. 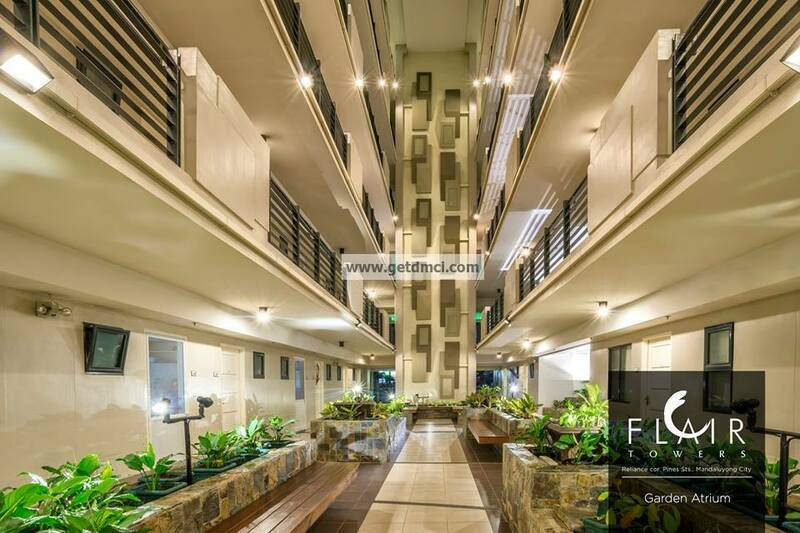 The Mandaluyong CBD’s strategic location gives Flair Towers’ residents convenient access to public transportation. The MRT Boni Avenue station is just two blocks from the corner of Reliance Street and EDSA while the Pasig River ferry’s Guadalupe station is a further block away. Flair Towers is surrounded by major roads, including Pioneer Street and Shaw Boulevard. The Shangri-La Mall, Starmall, Robinsons Place Pioneer, SM Megamall, The Podium, and Metrowalk are less than 10 minutes walk away. Also nearby are the Lourdes School Mandaluyong, University of Asia & the Pacific, Poveda Learning Center, La Salle Greenhills, The Medical City and Cardinal Santos Medical Center. 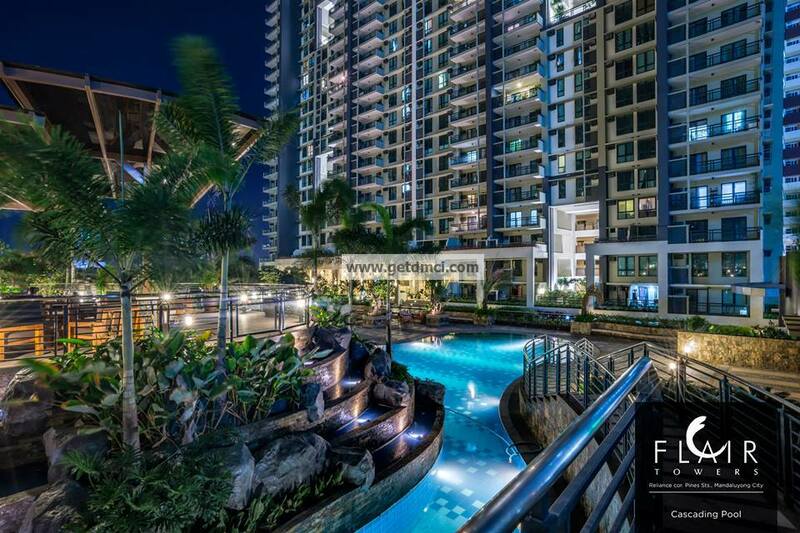 With Flair Towers, modern urbanites will enjoy cosmopolitan lifestyle in a tropical setting. They also get value for their money as their home are surely of high quality and comes with a two-year limited warranty for most unit deliverables.